6302-9.05 Radio Altrex Playing Micheal Bubble And The hollies. Weak to fair Signal Sinpo 33323. also Heard At 10.00 when Signal Had Surprisingly improved to Fair Sinpo 43333. with Music From Buddy Holly"that will be the day". 6485-9.25 Premier Radio playing Music From David Dundas And Steve Harley And Cockney Rebel. Also Frankie Miller And Pilot. Thanks For the Greetings. Strong Signal Sinpo 54444. 6320-10.55 Unid Playimg Coldplay. Fair Signal Sinpo 34333. Off A few Minutes Later. 6325-9.40 Unid Playing Instrumental Music. Strong Signal Sinpo 54444. 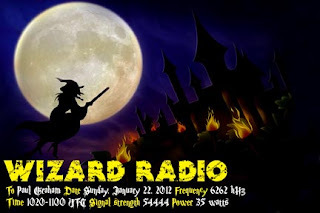 Maybe Wizard Radio. 6262-10.10 Wizard Radio Playing The Korgis"if i had you". Thanks For The hello's. Also Talking about WNKR. Strong Signal Sinpo 54444. Short Skip seams to be working well this morning. 6325-17.43 Radio Mi Amigo playing The Detroit Spinners And Cliff Richard. Fair Signal Sinpo 44333. 6485-9.00 Premier Radio Saying Hello And Saying he had not been on Sw the last few months due to Tx Problems. Also he was doing a 80's Show. Playing Music From wham And Tiffany. Good Signal Sinpo 43444. Its Good to Hear Premier Radio Back On SW.
6220-14.55 Unid playing The Who, Thin Lizzy And Bob Dylan. very strong signal Sinpo 55444. 6920-9.55 Geronimo Shortwave Playing Rock Music. Good Signal Sinpo 43444. Only On Low Power Today. 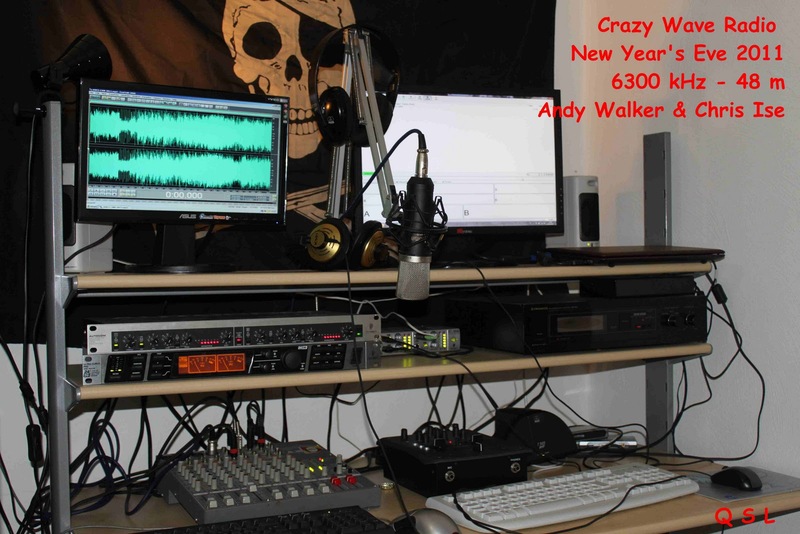 6485-16.00 Premier Radio With A Recording of a old program.Playing Instrumental Music And Id's.Good Signal Sinpo 43444.
next Pirate HF-Weekend will be 14-15.1.2012 ! standing by - from South America and Asia. 14.980 - 15.100 MHz, but of course anything goes. No stations from USA or Canada signed to this slot yet. weak) but I think 21.5 MHz will be open - and 15 MHz for sure. I hope that 2012 is better than 2011 for you. This is the first email of the year from us here at South Herts Radio. Join us on Sunday 8th January for our first broadcast of 2012 from 12.00 - 20.00 UTC. 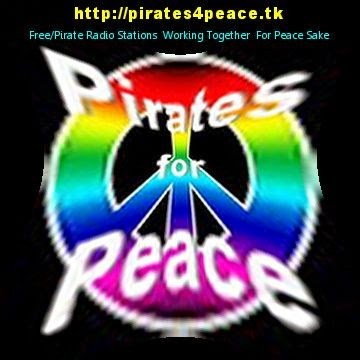 Some people have problems with flash media in their browsers so download links will be available on request and the listen again player from Sunday's shows is normally uploaded on Monday's. One last thing you might like to check out is our downloads page http://www.southhertsradio.com/downloads.html which has more from our archive of great radio. Near or far we bring you SHR. 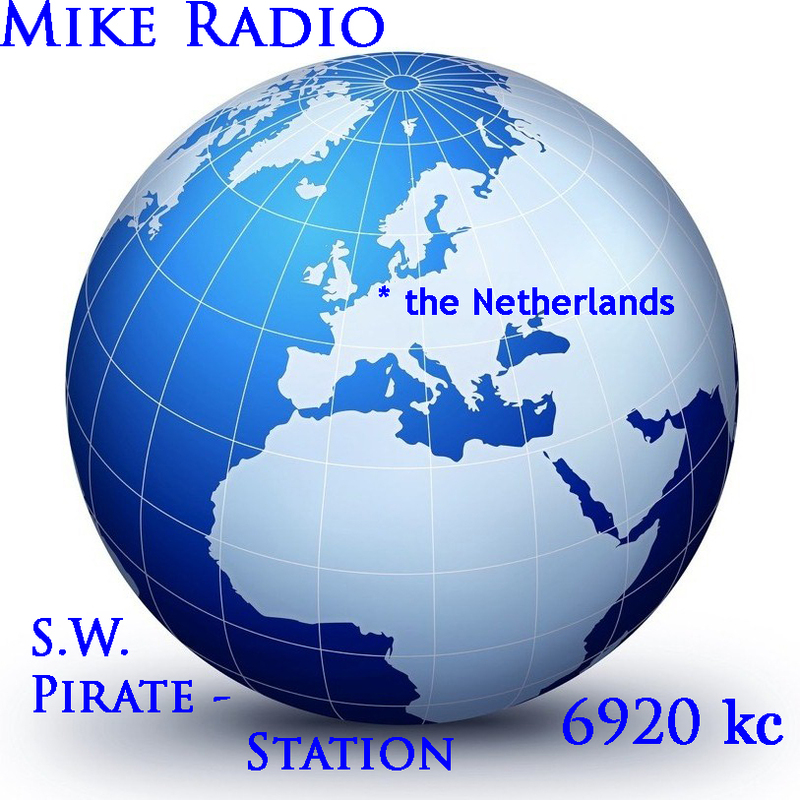 6205-8.50 Radio Star International Playing Easy Listening Music Till 9.00 When Programs start with Roger Dale giving Out Contact Details And Playing Pat Boone. Strong Signal Sinpo 54444.